At SummerSlam, Neville proved to the world why he's the King of the Cruiserweights by beating Akira Tozawa to reclaim the Cruiserweight Championship. He had lost the belt six nights earlier, ending the longest reign to date of that title. Neville got another decisive win over Tozawa on 205 Live. While cutting a promo, that familiar music from Monday Night Raw hit and Enzo Amore came dancing to the ring in a Bill Cosby style sweater. He proceeded to cut a promo on the champ, much to the support of the crowd. Enzo dropped the mic after a few words to which Neville responded by doing the same thing, but then leaving the ring. Enzo and the crowd spelled out the fact that the champ is S-A-W-F-T and the Certified G did his chicken dance around the ring. I'm not surprised to see Enzo on 205 Live. In my 1-2-3 cents, the show could use some personality. I guess I am a bit taken aback that he instantly came out and confronted Neville. 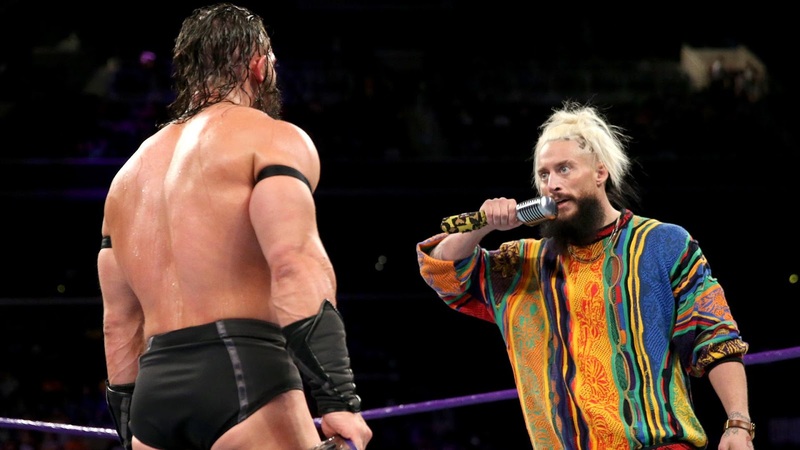 But let's face it, he's been through just about everyone on the roster so setting up a feud with Enzo will freshen up the product and add a new character to a show many fans are apparently tuning out. It'll be interesting to see how he's booked on 205 Live. Enzo and Big Cass worked well as a tag team, but I could see him getting lost in the shuffle since the feud against his former partner has settled down (especially because Cass is now hurt). 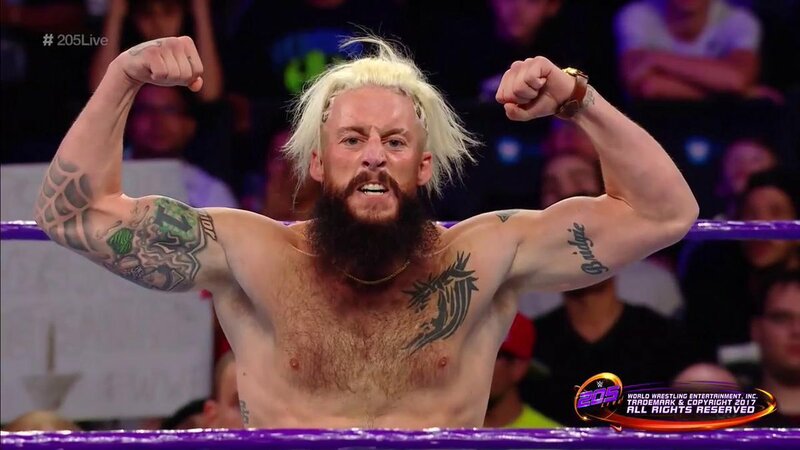 With the rumors of heat on Enzo in the back, which are just that, rumors I wonder what the plans are for the long term. It seems debuting him on a new show in the main event isn't a bad thing. You all know I'm a Neville loyalist. I can't wait to see the King stretch the Jester that just showed up in the 205 Live kingdom. I don't call Enzo a jester as an insult, but the reality is his character is pretty goofy. Wrestling fans: Make some noise!